Machined from a solid billet of the highest-quality marine-grade 316L stainless steel, our tonebars deliver solid a fundamental across both the bass and treble strings, with a responsive, sweet tone. The surface is perfectly smooth and polished by hand to a mirror sheen, for a silky-smooth glide and minimal string noise. No other tonebar combines the innovative design, engineering and focus on quality of a Wolfram bar. ... to be close or very similar to. Wolfram Verge takes the materials, engineering and quality of finish that have made our finger slides famous, and translates these into the perfect bullet tonebar for lap steel players. Every element fuses into a consistent whole, and has been judged to deliver the very best in tone and feel. For the ultimate in comfort and precision, Wolfram Verge has a perfectly radiused cutout to fit your thumb. Enabling precise, intuitive control over slants, Wolfram Verge feels like an extension of your fingers. The playing surface is machined absolutely flat, for consistent feel and engagement across and along the strings. 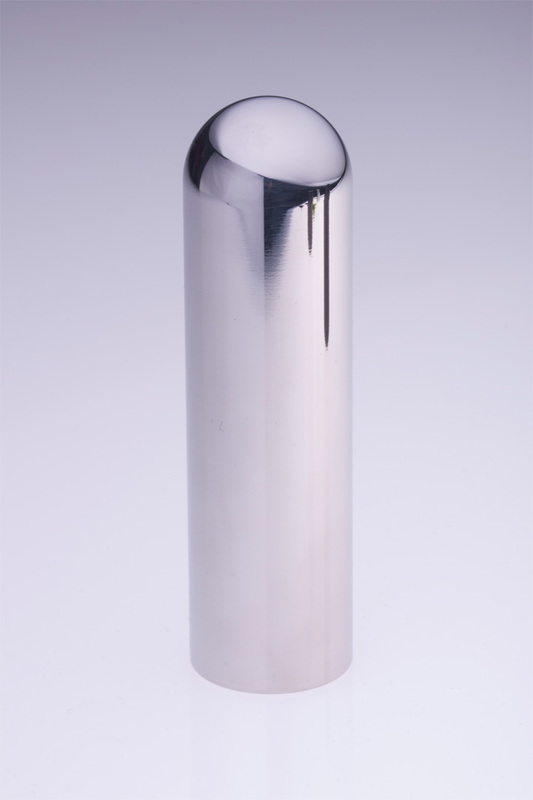 The entire playing surface including the perfectly hemispherical bullet nose, is hand-polished to a mirror sheen, for the smoothest possible playing experience and absolutely minimal string noise. The density and weight of Wolfram Verge combined with its exceptionally high-quality playing surface results in superb engagement with the string - you can expect a really solid, clear fundamental from both the bass and treble strings, delivered with peerless sustain. Wolfram Verge is very responsive to playing style, providing access to a wide tonal palette of overtones depending on your attack and playing style. Wolfram Verge is available in two sizes. 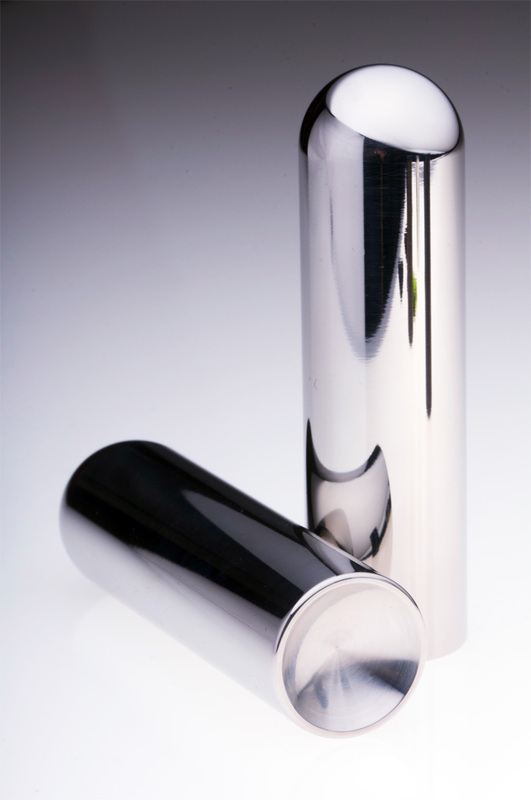 Due to their solid steel construction, the large and small sizes are different weights.